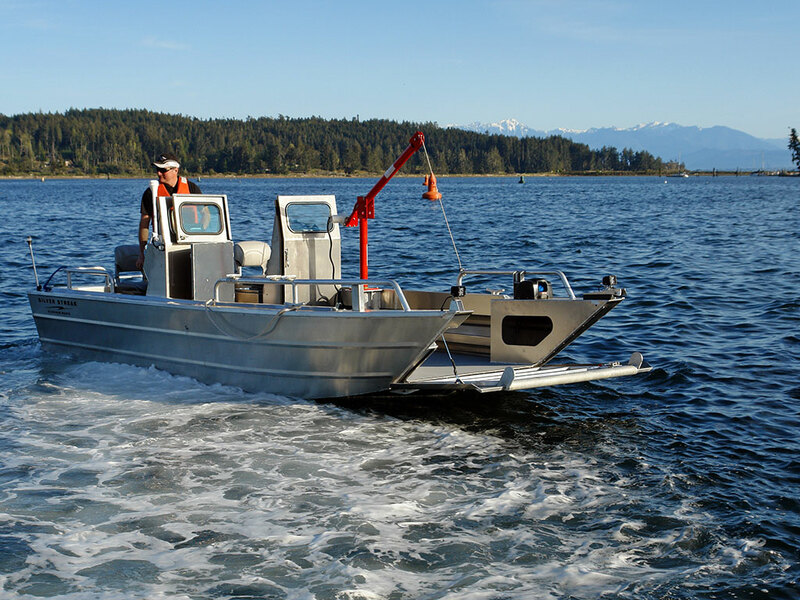 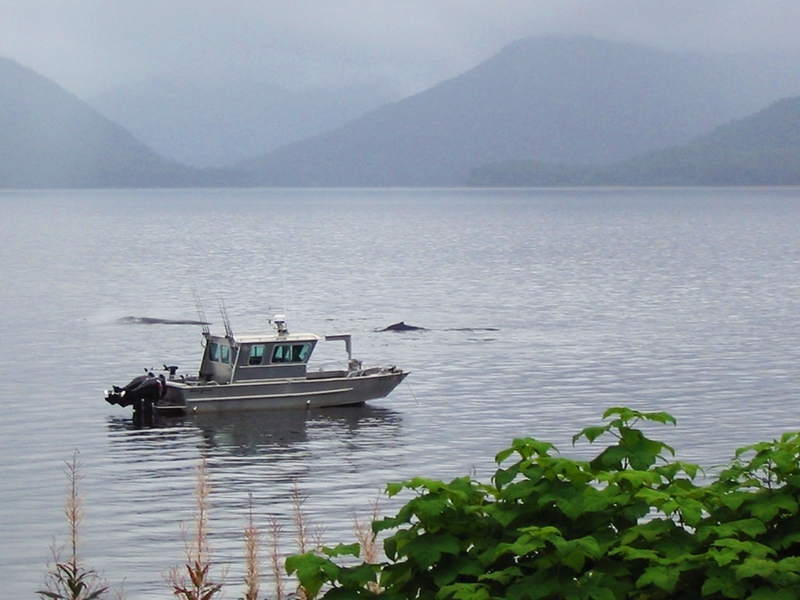 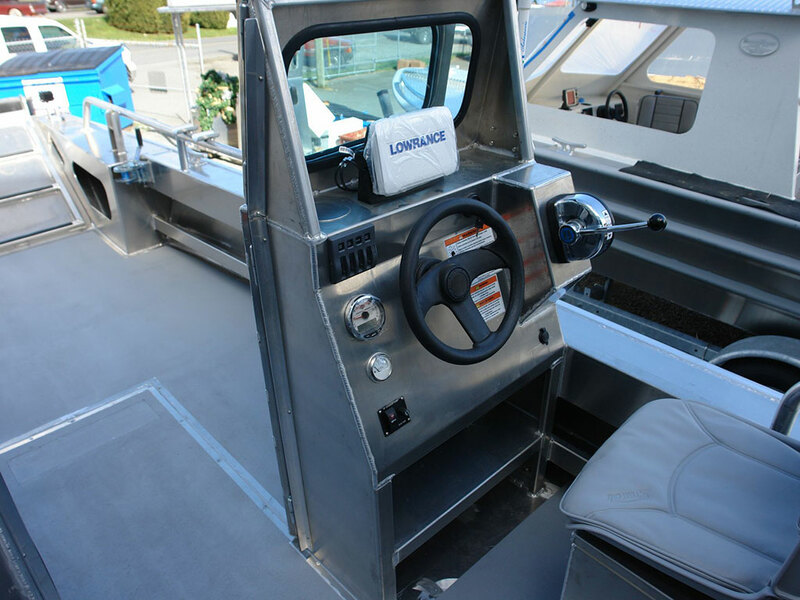 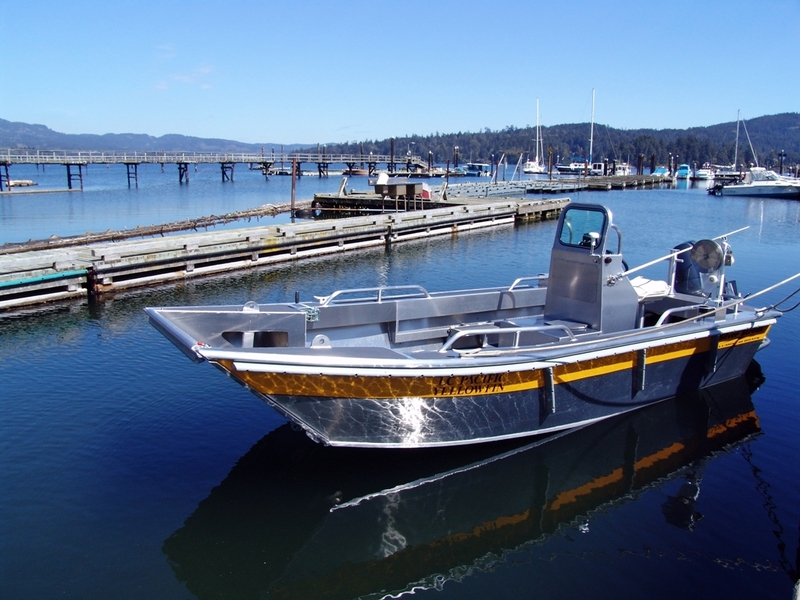 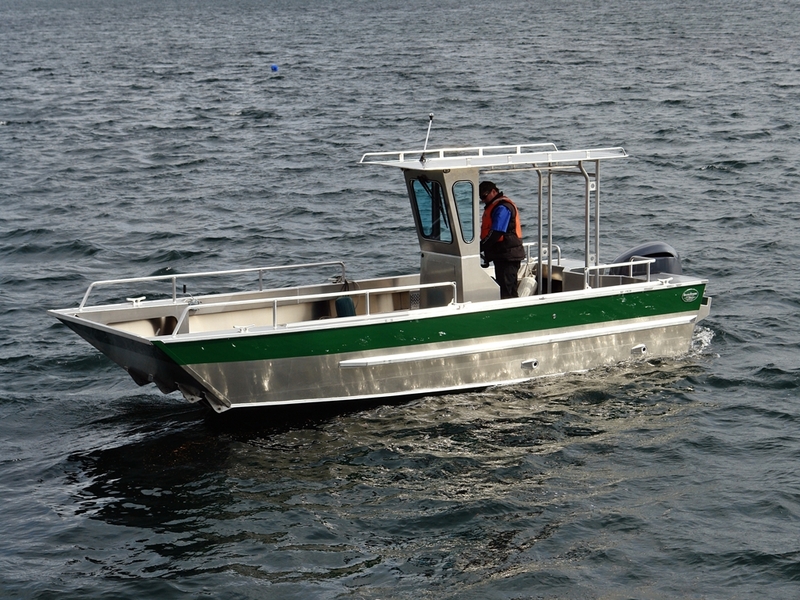 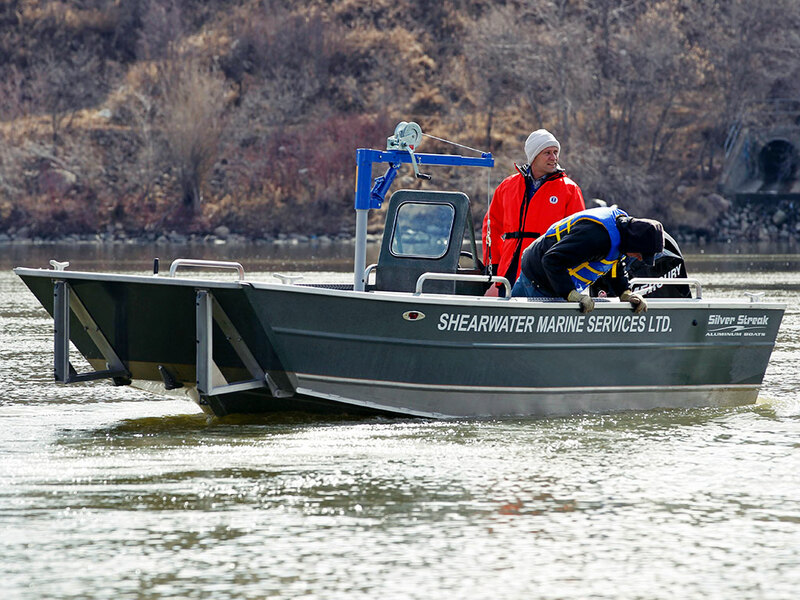 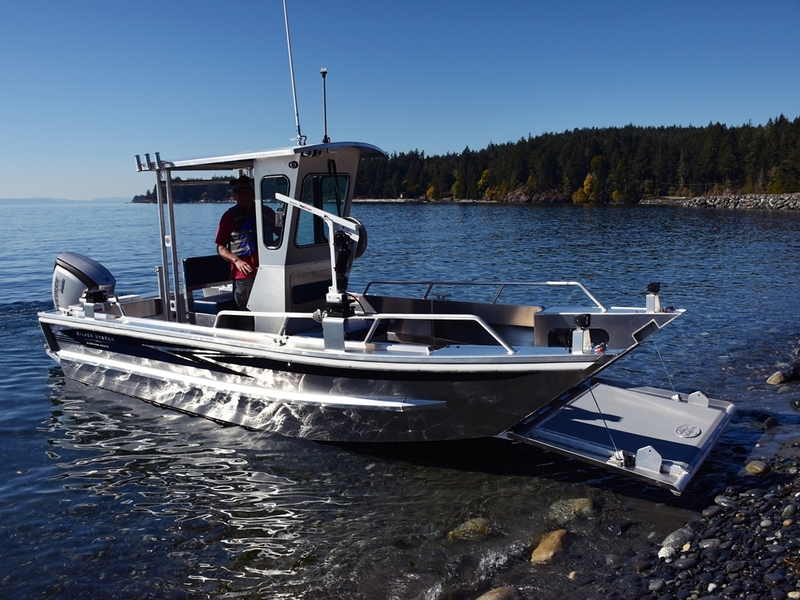 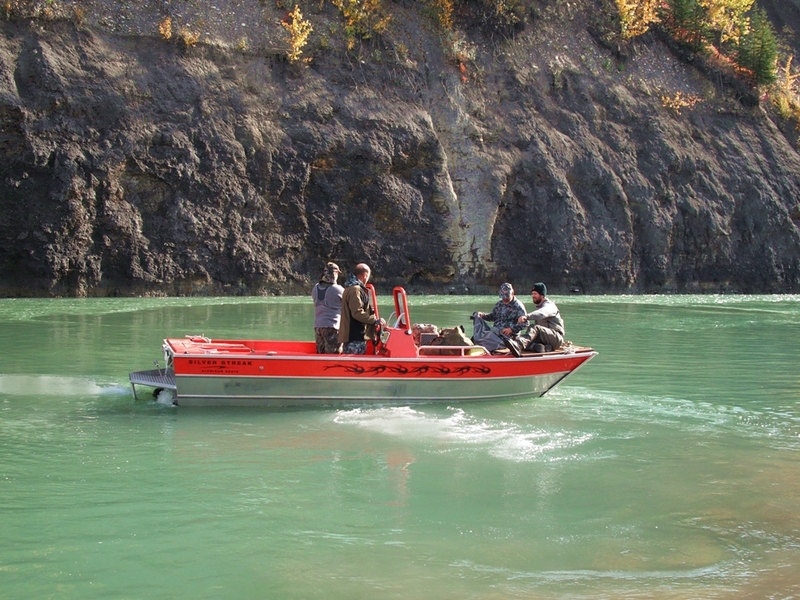 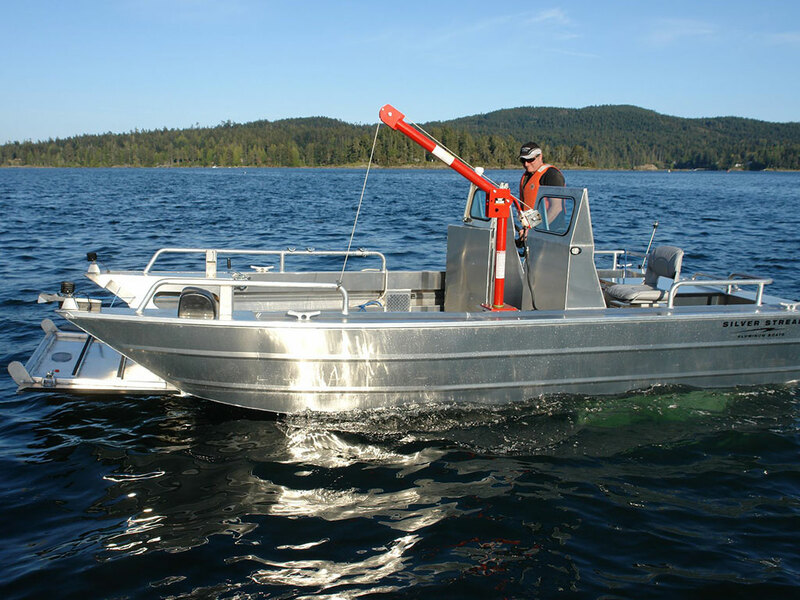 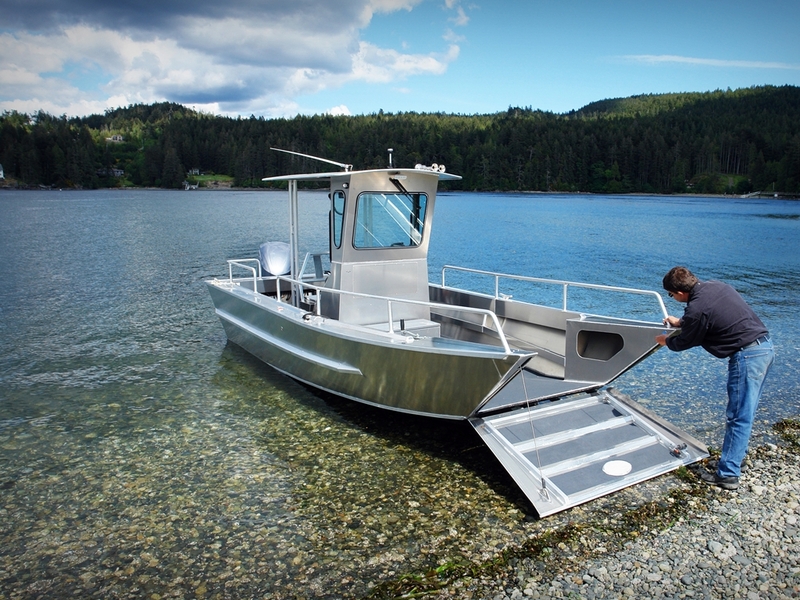 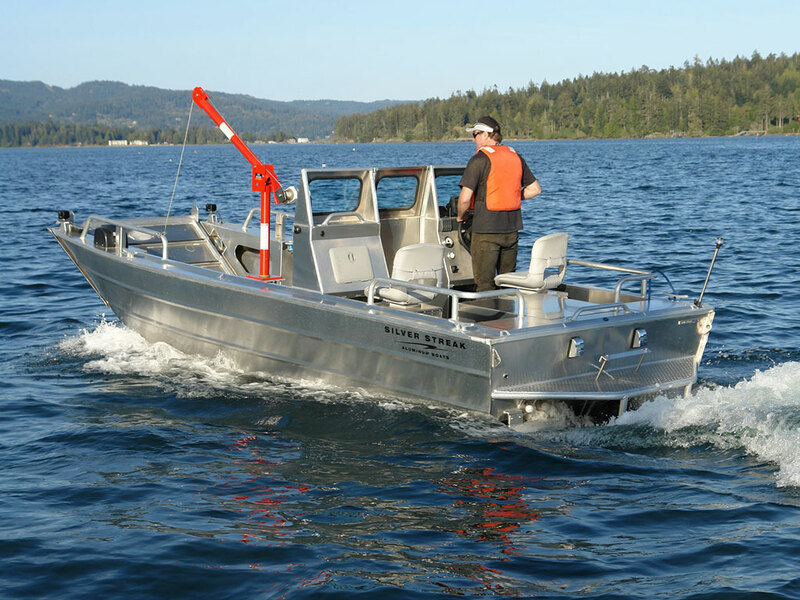 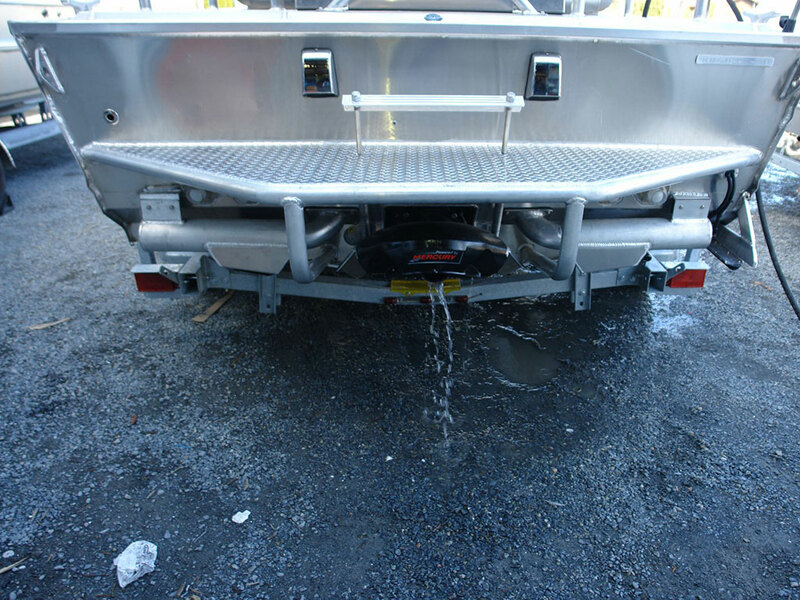 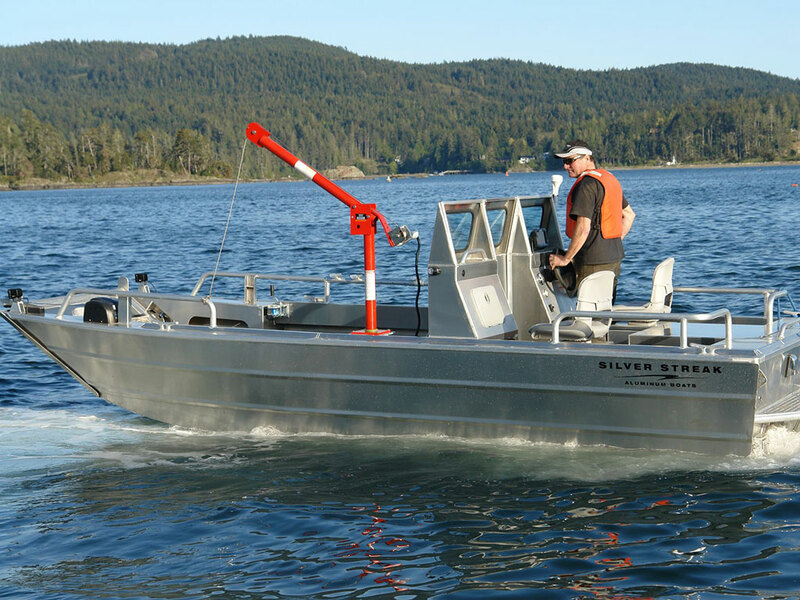 The Prospector is the perfect boat for water access only properties. 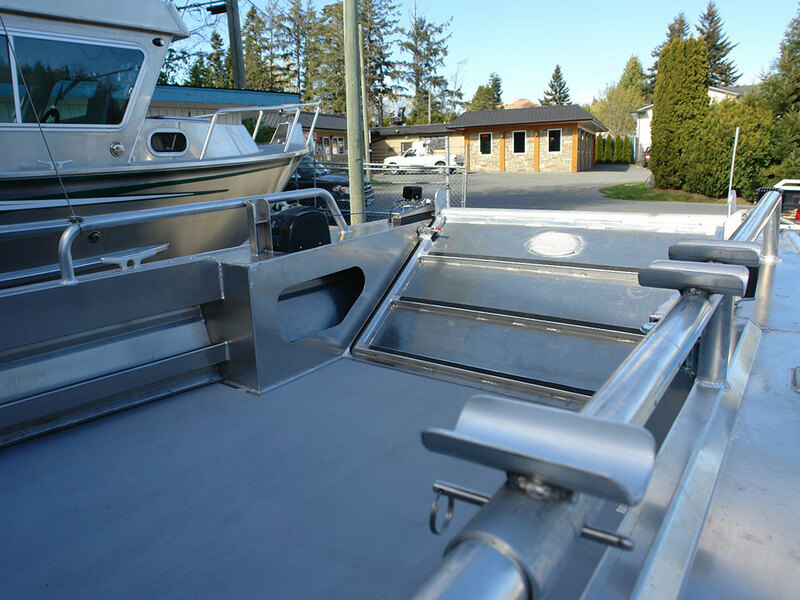 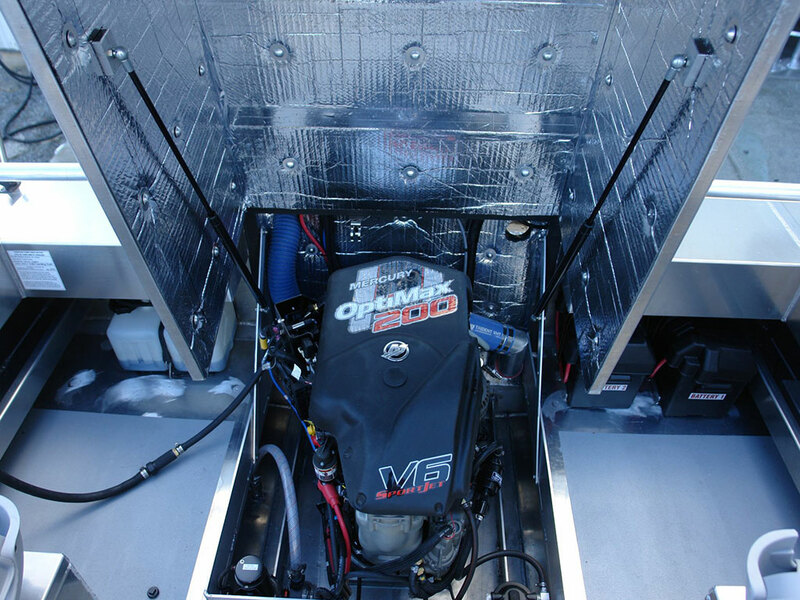 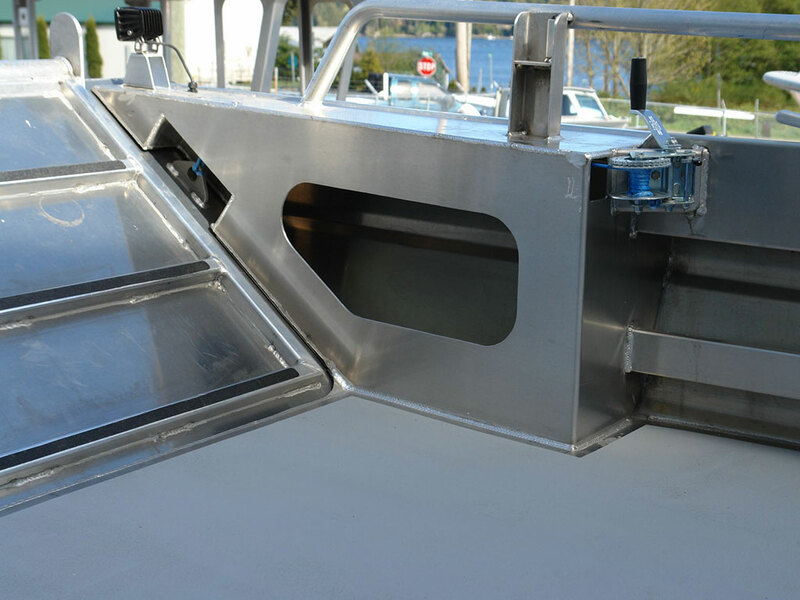 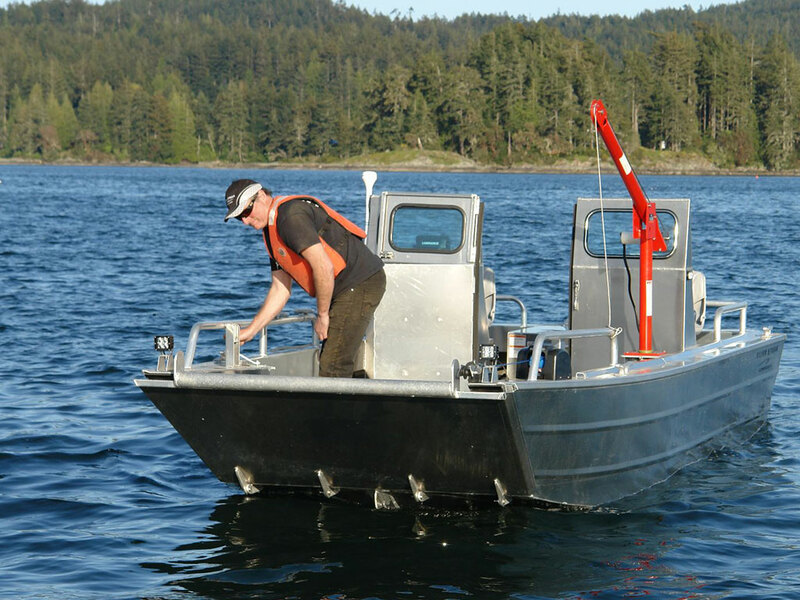 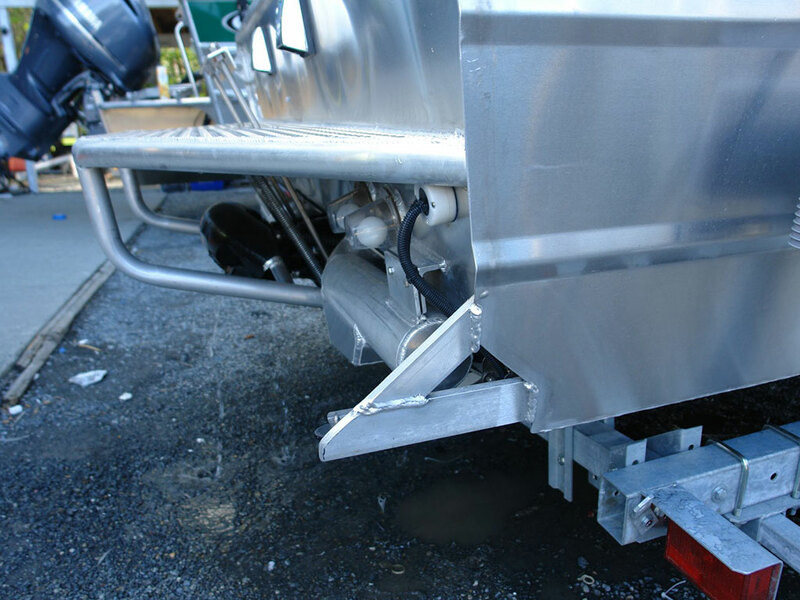 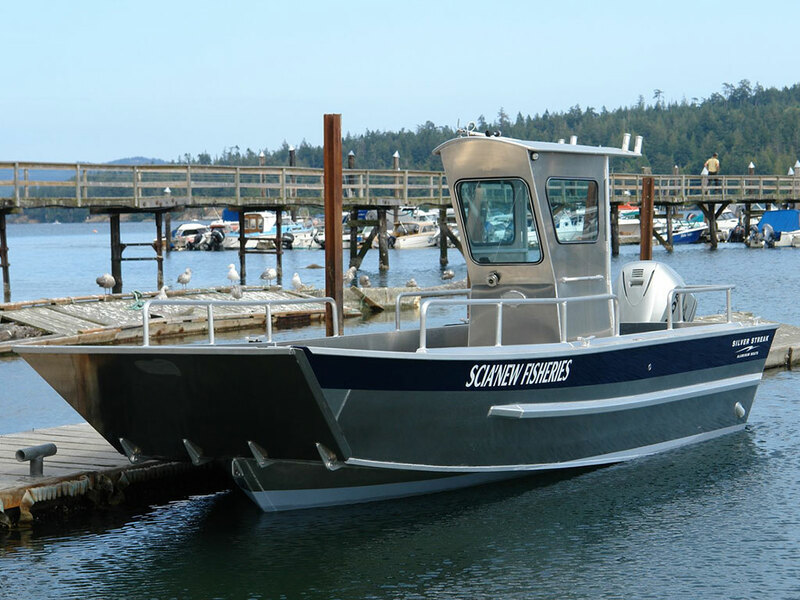 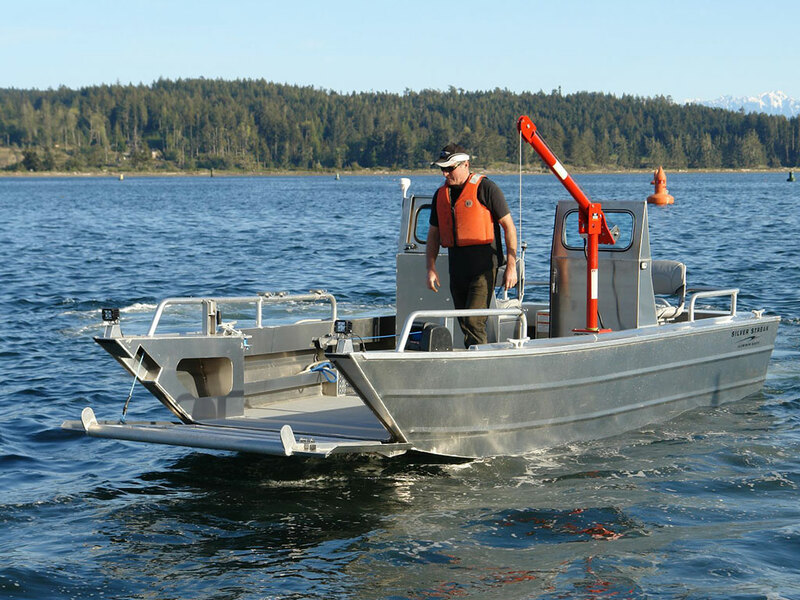 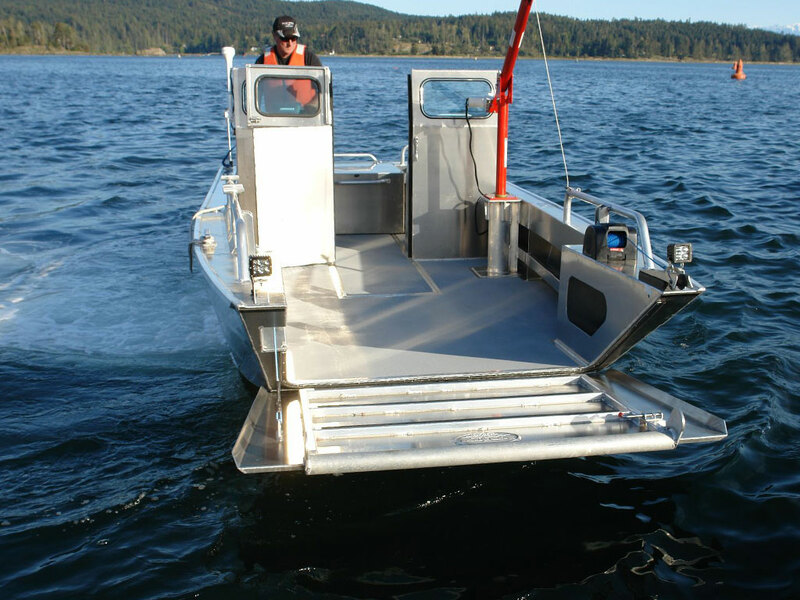 This boat is utilitarian by nature, and handles rough water with a full load of cargo with ease. 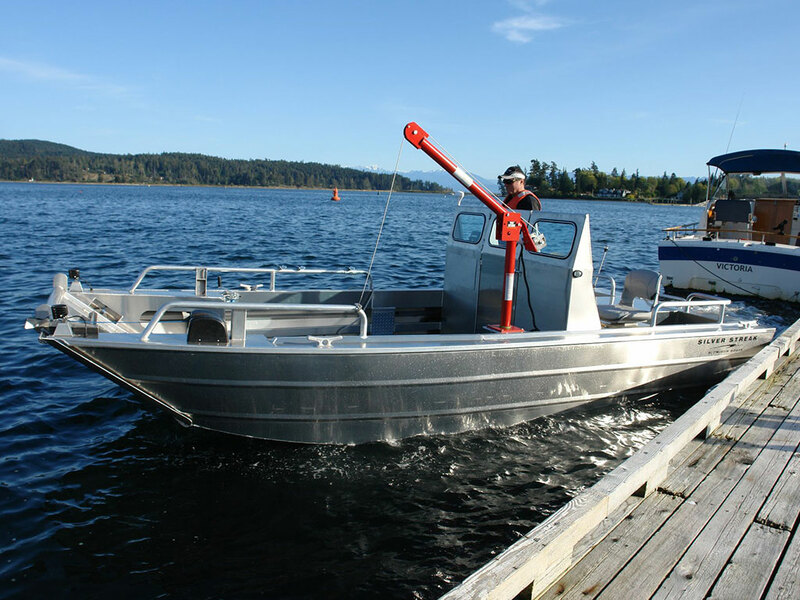 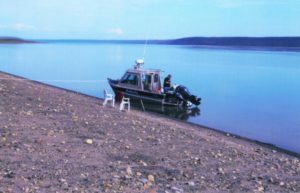 Beach the boat, winch the bow door down, and roll your gear right onto the beach! 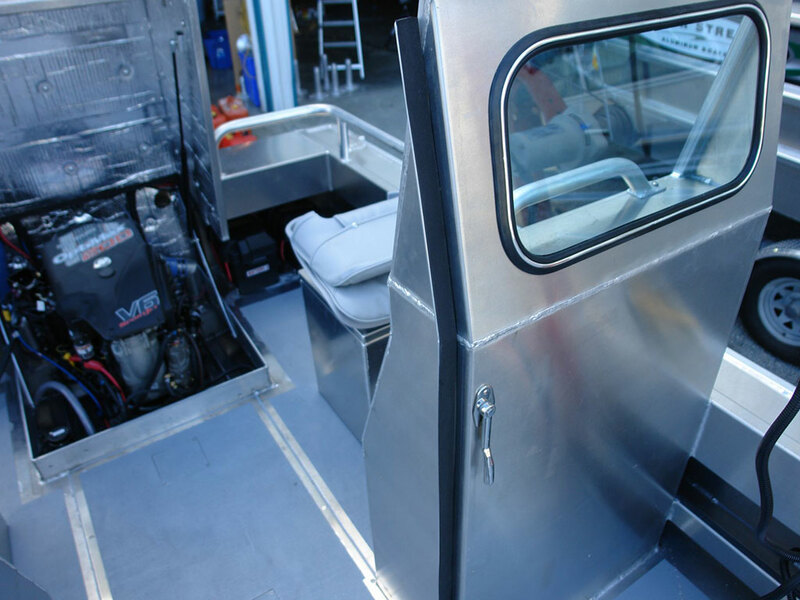 Bow Door Width: 4'-10 1/4"
Available in: 14" or 16" shock-absorbing 'Back-Saver' pedestal, or solid Aluminum for swivel seat.